Keyless locks work by pushing in a numbered code on a keypad. They are convenient, but are they a secure? For many years, keyless entry locks on both homes and cars, have been very popular. However, as with any modern technology, there are pros to switching to a new system as well as some cons to go along with them. Both the pros and cons of a keyless lock system need to be examined before purchasing one for your family home. The number one reason that someone will switch their old-fashioned locks to have keyless entry, is a reason that is pretty much common sense because they don’t need to carry a house key! When you have keyless entry, you don’t have to worry about losing or misplacing your key, or making sure you have a spare in any kind of emergency if you do. Another advantage of a keyless entry system is that you don’t have to worry about making sure that you have extra sets of keys for relatives that drop by or even visitors. All you need to do is give them the access code, and instructions on how to lock and unlock the door properly. Want to know who comes in and out of your home and when? You can program multiple codes for each family member, relative or friend. This way you know who has accessed your home while you were out. Just like any piece of technology that has a password, there is the possibility of a hacker to gain access to your personal accounts. The same goes for keyless locks. There are hackers out there that can hack into the system or even just guess the code. When Choosing your code, choose wisely and make sure it has a high-security rate so that its harder for hackers to try to get in your home. The good thing is that you can set up your keyless lock to alert yourself or the police if the wrong code has been inserted too many times. Just like forgetting your keys you can also forget your code to your home keyless lock system, causing you to be locked out until you can get a locksmith to help you. The initial cost of installing a keyless door system can be 3 – 10x more expensive than that of a regular entry system to your home. Costs can range from $150 – $200, depending on brand and quality of the system. Where a keyless lock entry is electrical they can stop working, therefore, leaving you locked out of your home or not able to lock the door when leaving. They have a backup power source but it only lasts a certain timeframe, depending on your system. Is Keyless Entry Right for You? There are many things to consider when deciding whether keyless locks are right for your home. You should think about who will be using the door and whether they will have problems getting in and out of the house because of the type of lock you choose. Just like with any home improvements, you need to consider what’s best for your family and make an informed decision. The purpose of keyless door locks is to make your life and your family’s life easier. Contact Milwaukee Lockstar today if you’re interested in installing keyless locks in your home. We can also help if you’re experiencing any difficulties with a previously installed keyless entry system. We will be there to help you get back into your home. 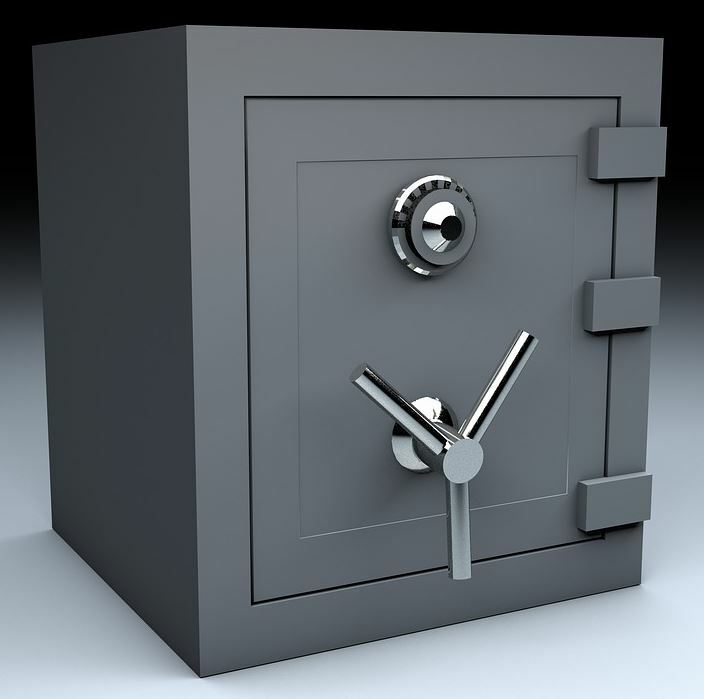 Safes provide a secure storage space for all your most treasured valuables. It can hold things like expensive jewelry or family heirlooms, to important documents such as your passport. That is why it is especially important to ensure that you have access to the contents of the safe at all times. If you find yourself locked out of your safe, we can help. What types of safe locks are there? Key Lock: This is the old-fashioned generic lock that is unlocked using a key. It gets the job done, but can be troublesome if the key is misplaced or lost. Combination Lock: Another analog type of lock, it requires you to manually turn a knob to specific numbers displayed around the dial to unlock. Electronic Lock: An electronic safe that typically runs on battery, this lock requires you to input the correct sequence of numbers to unlock. This type of lock is currently the most popular. Can I try and break open a safe I’m locked out of? If you are ever unable to open your safe and access the contents of it, we advise against trying to open it yourself. A non-professional could damage the lock, safe, or the contents in the process, making it much more difficult for a professional locksmith to open the safe without damaging the safe or the contents inside the safe further. What should I do when I’m locked out of my safe? The best option is to call a locksmith ASAP and provide them with as much information as possible about the safe, in order for the locksmith to quickly and efficiently unlock the safe and remove the contents of the safe. Although different depending on every situation, a locksmith possesses the knowledge and expertise to unlock a safe with minimal to no damage to the safe and the contents inside it. We here at Milwaukee Lockstar not only specialize in building and vehicle locks, but also safe locks. We understand that your safe is extremely valuable to you as it holds your personal treasures. That is why we try our best to unlock the safe with minimal to no damage to the safe, and certainly retrieve the contents of the safe with no harm done. With our service radius of Milwaukee and all surrounding areas, we guarantee that you will be completely satisfied with our services! Contact us today or call us at 414-939-8811 to get started. The first step that you need to take is to identify the type of safe that you have. Properly identifying your safe means that you will be able to use the appropriate measures to reset your code or recover the code, to unlock your safe. The last thing that you would want to do is panic and use the wrong access methods for your safe. This ends up damaging the safe and all its internal components. If you think this could never happen, you should probably talk to someone who has been in a lockout before. You must request help for a certain safe, this holds true regardless of whether you contact the manufacturer or a locksmith. When you contact either or, you will have to provide basic information about the safe for them to know which course of action they should take. The information that is needed in this situation can either be a serial number on the safe or your purchase information. The serial number can be found on the side of the safe or the back panel of the safe. 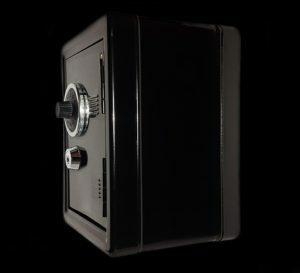 For security purposes, some safes have their serial numbers on the body of the safe. So, if you can’t find your serial number, use information from your purchase order to find out the brand and type of safe you have. Once you know the type of safe that you have, you should check whether the safe has a key override that can be used if you have forgotten your combination. Key overrides allow you to gain access to your safe using an alternative method. The key override is also extremely useful when you have forgotten the combination to your safe. It is possible that you didn’t even know that your safe had a key override. Lots of people neglect to read the user manual when they buy a safe. Also, not all safes advertise the fact that they have an override key. You should take the time to read through your owner’s manual and verify whether the safe has a key override or not. Doing so will save you time, and it will help you get back into your safe. However, if you find yourself saying “I forgot my safe combination”, do not get your hopes up about the mechanical override key. Not all safe manufacturers utilize one in their safes. If your safe does not have a key override, there is no need to worry, you will make your way back into your safe. There are many people who have said, “I forgot the combination to my safe,” who have ended up gaining access to their safes once again. In the absence of a mechanical override key, a change key can be used to help you out of your situation. A change key allows you to change the combination so you can gain access to your safe again. This is extremely useful for when you have forgotten your combination. The change key doesn’t work for all safes because you might be required to input your old combination when you are using a change key. To get the change key to work you insert the key in the back of the safe and then you must input the reset combination. This set of numbers is merely a way of wiping the slate clean for you to set a new code to your safe. If you forgot your safe combination, the use of a change key or a mechanical key override can be quick solutions. People rarely have these elements on hand, so you will likely have to resort to calling a locksmith to help you get back into your safe. If you have tried all the of the above methods and you have not been able to get into your safe, it might be time to reach out to the professionals. A locksmith will be able to help you enter a safe that you are locked out of. Finding the locksmith to open your safe sounds relatively easy. Safes are very intricate devices, and if they are not treated properly, you could potentially damage your security investment and the contents of your safe as well. Ideally, you want to find a locksmith that is familiar with safes, and one that seems knowledgeable about your safe. Losing your car keys can be very stressful. All of a sudden you realize that you can’t go where you need to go..now what do you do? First thing to do is to stay calm, if the keys are really lost, a locksmith can usually get you back into your car within 10-30 minutes once they arrive. Car key replacement can be handled in a few different ways. What type of Car Keys have you lost? Letting your locksmith know what type of car keys you have is another critical piece of information that they will need to have in order to perform the job with optimal efficiency. Most cars after newer vehicles have transponder chips are programmed to a specific car. All keys madein the last 20 years are required to be fitted with an immobiliser system. This will require a transponder key, which has an embedded electronic transponder chip in the key to start the vehicle. If this kind if key is broken or lost, then you won’t be able to turn the ignition and the vehicle will not be able to start. You will need a replacement transponder chip. These are generally a keyless entry push button key that controls the locking to doors of the car and turns off any alarm system. Non-remote keys will have no remote central locking and have no remote control functions on the key. These type of key is normally known as a ‘copy key’. What Do I Do If My Car Keys are Lost? Your next step is to call a reliable locksmith. Their job will be to reprogram the locking system to render the old keys useless and, in some cases, reconfigure the door locks and ignition as well – depending on the age of the vehicle. Why do we need all of this information to make a key? Some of it is technical, basically so that the key can be reprogrammed. But we also want to make sure that you are the owner of the vehicle. Imagine if locksmiths did not verify that you were the owner of the vehicle..anyone would be able to call a locksmith to get into almost any car they wanted. What Models of Car Keys Can a Locksmith Help Me With? A qualified locksmith should be able to assist you with keys for all makes and models of vehicles, from standard family cars to exotic and luxury cars. In the rare instance that your locksmith does not work with your specific type of vehicle, rest assured that they can direct you to someone who does. The same process applies to all vehicles such as trucks, motorcycles, RV, etc. Can I Get a Car Key Made Without the Original? In short, yes. Many of today’s best locksmiths have the tools and technology to cut and program an identical car key to the one you have lost. 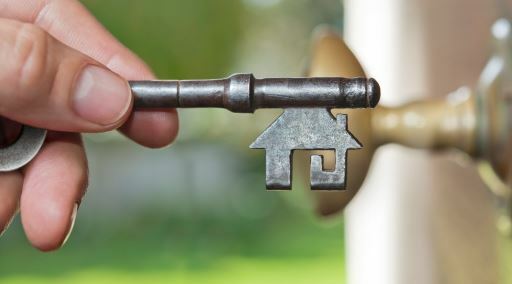 Contrary to popular opinion, it is not mandatory to have the key code on hand when you call the locksmith – all you need is the above information to have a new key created. Do I Need to Go to My Main Dealer to Get a Spare Transponder Key? No – the majority of locksmiths serve as the primary provider of transponder key duplication. Many dealers today practice the outsourcing of this service to locksmiths. This means that you will save a significant amount of time and money by going directly to the source, since they will mark up the price of the locksmith that you could have called directly. Can a Locksmith Replace My Electronic Chip or Remote Key Fob? As a general rule, your local locksmith will have the tools needed to duplicate an existing item or program a blank one to function in accordance with your vehicle’s entry system. Do I Need to Take My Car to the Locksmith to Have Keys Made? In most cases, no. In fact, one distinguishing characteristic of a good locksmith is that they provide a mobile service and are fully equipped to perform the job onsite. That’s one of the differences between a locksmith and the dealership. A locksmith will come to you, while you would most likely have to have the car towed to the dealership for them to work on it. How Long Does It Take to Make a Spare Set of Keys? Creating a car key will take anywhere from 10 to 30 minutes, depending on the type of key and complexity of the transponder system. In rare cases where your locksmith does not have a blank key in stock, rest assured that they can order it for you and provide a spare set as soon as possible. How Much Does It Cost to Replace Lost Car Keys? The cost of replacing lost car keys in Milwaukee can range anywhere from $50 to $350, depending on the make and model of your vehicle and the overall scope of the work. Although a locksmith’s services cost less than your local dealer’s, there is no defined cost structure that locksmiths must follow: hence, your ideal solution is to obtain a quote from more than one locksmith. Consider having more than one key made if you have found yourself in this situation. Once the locksmith is there, it is not that much extra to fabricate another. Your car is more than just a means of transportation: It gives you the freedom to not only accomplish your daily tasks with greater speed and efficiency but also to go wherever you want, whenever you want. Whether you are 16 or 96, owning a car is something that you likely take for granted, which is why finding your car keys lost or stolen can be absolutely devastating! Fortunately, a trained and certified locksmith like Milwaukee Lockstar can resolve the problem before your very eyes. If you seek one of the most skilled yet affordable locksmiths in your area, look no further than Milwaukee Lockstar for all of your car key replacement needs. Call today! Car Key Repairs: Do You Have a Broken or Damaged Key? This is where Milwaukee Lockstar comes in – a dedicated provider of car key repair in Milwaukee, WI, and surrounding areas. 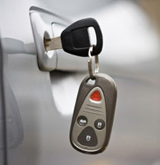 What Types of Vehicle Keys Can Be Repaired? With the rapid shift towards electronic keys in recent years, your locksmith will need to be specialized in key programming to deliver the highest quality level of service. 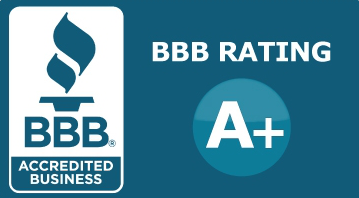 Rest assured that Milwaukee Lockstar is fully trained and certified to assist drivers with any and all car key repair needs. Can You Fix a Broken Car Key? It is possible to fix a broken car key, however, depending on where the key is broken, it might need to be replaced altogether. How Much Does it Cost to Get a New Car Key? Most car keys would typically cost anywhere between $95-$165 to be replaced. Depending on the car brand and the features within the key (if it’s high security), the price can be higher. 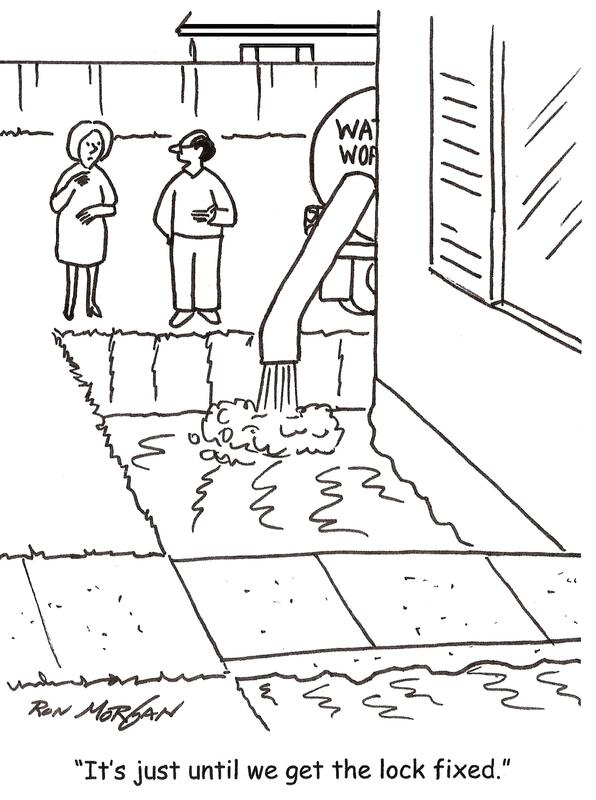 When you call us we can give you a quote over the phone. My Car Key Broke in Half: What Can I Do? 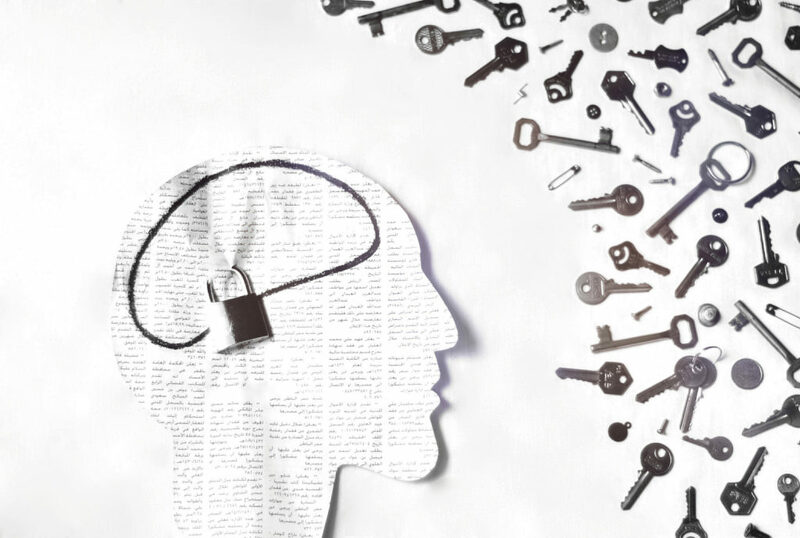 Without the training and expertise of a certified locksmith, many individuals lodge the broken segment deeper into the lock or even damage the locking mechanism altogether. Resolving the problem rather than escalating it is what distinguishes a professional broken key removal from an inexperienced attempt. Due to the intricate nature of the task, it is essential to choose a locksmith who specializes in the removal of broken keys to ensure that you are receiving lasting, quality service. My Car Key is Stuck or Won’t Turn in the Ignition: What Do I Do? When a car key is lodged in the ignition, it is important to contact a qualified locksmith for professional diagnosis of the problem. Key-related problems can typically be resolved by cutting and reprograming a new key, while ignition-related problems can be resolved by repairing or replacing the ignition itself – depending on the extent of the damage. How Do I Get a Broken Car Key Out of the Ignition? Use compressed air* to remove any obstructions from the lock. * Spray cleaners contain harsh chemicals that may damage the ignition. Place the key fragment back into the lock to assist in retrieving the other piece. Bend the ends on stiff wires or straightened paperclips and slide them along each side of the key to grasp the broken piece. Keep the wire in the ignition and carefully remove the upper key fragment. Hold the fragment between the wires and pull it out with an up-and-down motion to prevent relodging it in the ignition. How Do I Get a Broken Car Key Out of the Door? Remove* the upper key fragment from the lock. * You may need to fully break off the fragment if it is only partially broken. Rotate the lock to the “insert” position with your thumb or a small object. Clear the lock of any debris and lubricate it with a liquid spray to aid in the key removal. Purchase a lock removal tool or use a homemade substitute – a long, narrow object with at least one hook on the end. Inset the tool into the key and twist the hook(s) towards the key fragment. Pull the fragment out of the lock until you are able to grasp and remove it by hand. 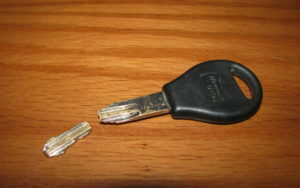 Can You Make a Copy of a Broken Car Key? In short, yes. Once the broken parts of the key are removed from the door or the ignition, a locksmith can utilize them to cut a brand-new, identical key. The unique chip is simply removed and reinserted into the replacement key, thereby restoring your ability to open and operate your vehicle without compromising its security. Who Repairs Remote Car Key Fobs? A full-service locksmith who specializes in key programming will typically also be skilled in key fob repair and reprogramming. Because a broken or damaged key fob can prevent the opening of your vehicle doors or even interfere with the ignition’s most basic function – starting your car – it is essential to have it repaired in the quickest and most efficient manner. If you are looking for professional car key repair in the Milwaukee area, please do not hesitate to call Milwaukee Lockstar today. We have trained experts ready to come to your rescue in 30 minutes or less! Locked Brain…Each little adjustment of the keys seems to achieve nothing, only when everything is in place does the lock open. Many people lock a part of themselves away. It’s a bit sacred knowing that He has nothing but His best planned. Download Free WordPress Themes Themeforest and free plugins Codecanyon – addonswp.com. Improved, security. Choosing the right smart security system for your home can be confusing. You think you’re doing everything you can to keep your home and family safe. But in reality, there is no such thing as taking too much precaution. If you would like more information about securing your home, the products and services, please call us at 414-939-8811. Our savvy technicians will be gladly to help! 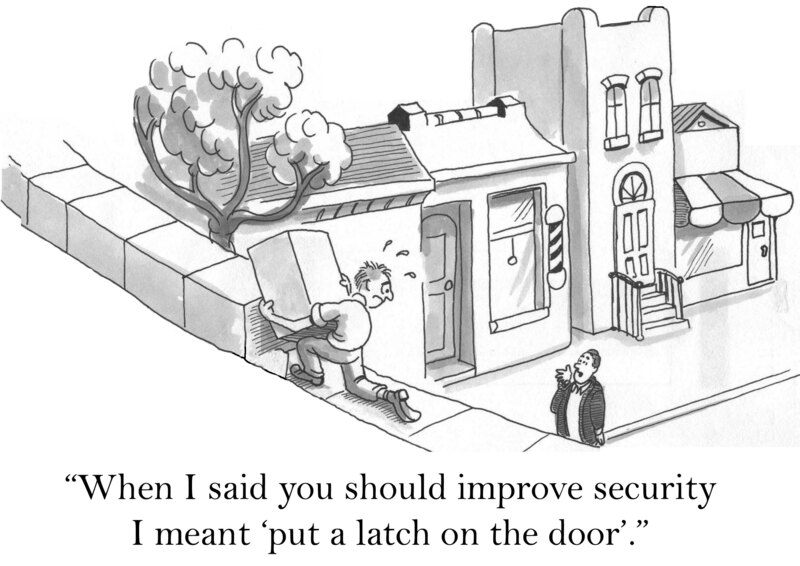 (Improved, Security): When I said you should improve security I meant a latch. Comics: Lockstar will get your broken lock fixed. Comics Lockstar will get your broken lock fixed. Glad to help, always available, provides locksmith services across the board. Locksmith for all emergency and non-emergency locksmith needs.